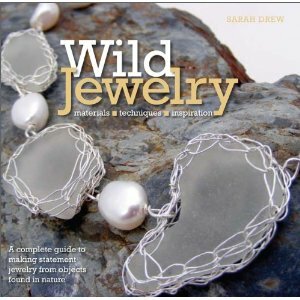 Heather picks out a treasury of cool and woodsy white colored beads and components for summer inspiration. Michelle shares some red, white, and blue inspiration for the Fourth of July. 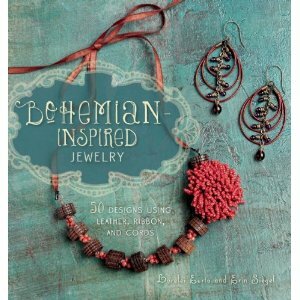 Melanie joins along in the Bohemian Inspired Jewelry blog hop with a necklace inspired by projects in the book. 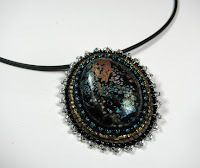 A one week complex resin project featuring bezel wire and resin begins with the first of five posts. It is food for thought...Or maybe it's just food, when Jean wonders "Who am I Today?" 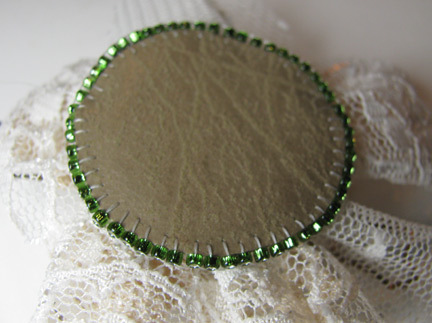 Cool off, kick off your shoes, and make some jewelry for your tootsies. Part one was posted yesterday! Ok, what exactly am I supposed to include here, and what should I leave out? 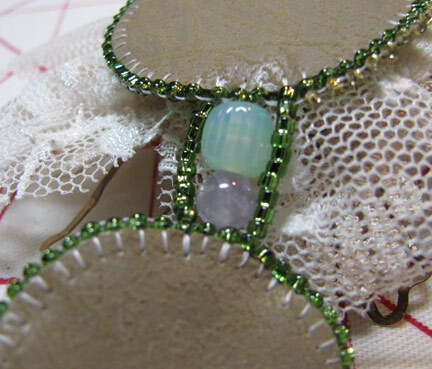 So many of the tutorials that I share here could easily be called mixed media, but they fall into different categories depending upon the primary medium. So that's what I'll do! I'll group them up and share them with you in broad categories. I've probably missed many of them, but at least this can get you started. 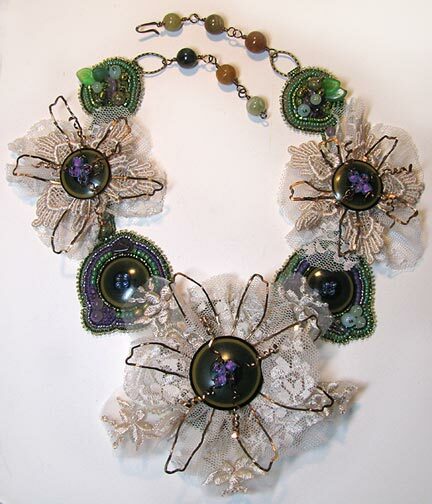 What makes any of these pieces into mixed media jewelry is when you combine one category of material with another. 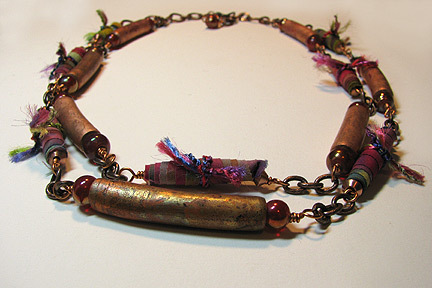 That's the simplest definition of mixed media jewelry that there is! 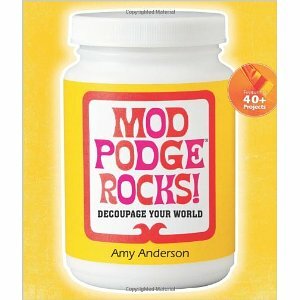 Don't miss our Mod Podge Rocks! 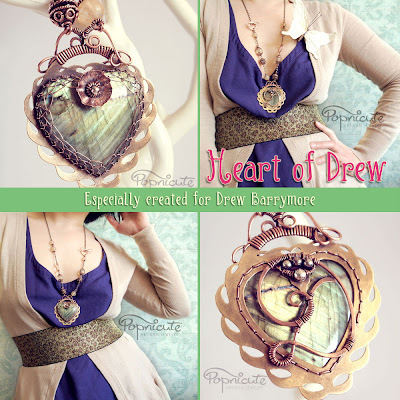 book giveaway, over on Mixed Media Artist. 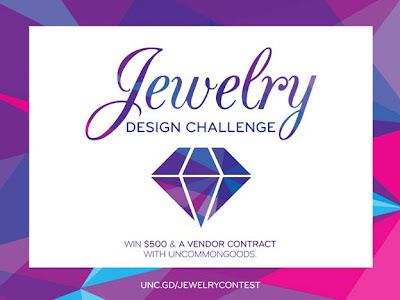 Today is the last day to enter! 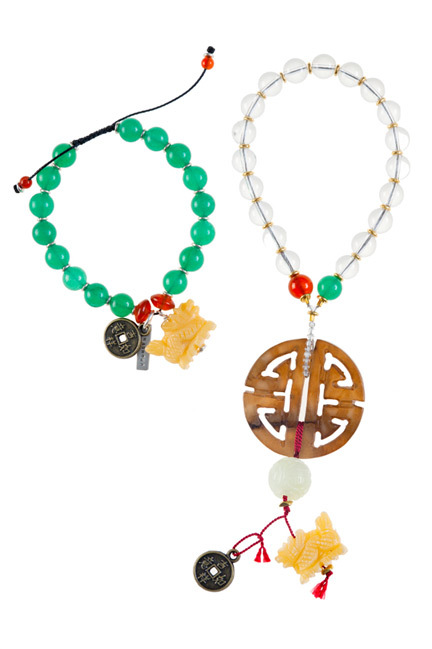 Affectionately known as the Feng Shui Mistress, Carole's services, designs and products have landed her on many network and cable shows including HGTV's Selling New York and the recent premiere of Beverly's Full House on OWN. She brings her expertise to wide array of services offered on her website and is currently a fashion consultant on two shows for CBS, The Talk and Big Brother. National and international publications such as In Style, WWD, In Touch Weekly, New York Times, Vogue, Self, Cosmopolitan and Elle have been a platform for showcasing her jewelry. Some of her clients and celebrities spotted in her signature products include Susan Sarandon, Illeanna Douglas, Julie Chen, Beverly Johnson, Sheryl Crow and Annette Bening. 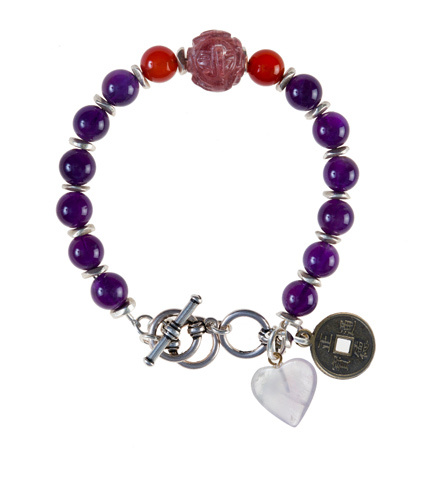 Do you find yourself taken by certain beads or techniques for periods of time? 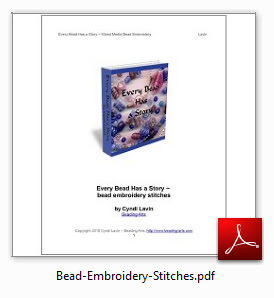 Well, head on over to A Bead A Day to share your experience of "Bead Love"! 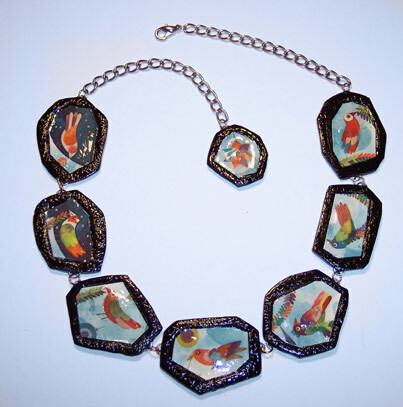 Leslie Rogalski is the featured jewelry designer for June. Stop by and read her wonderful interview. 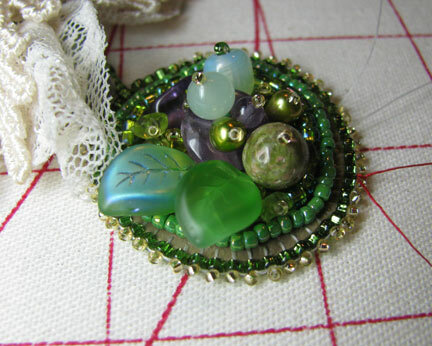 Try adding some fiber fun to your jewelry-making this Summer season! 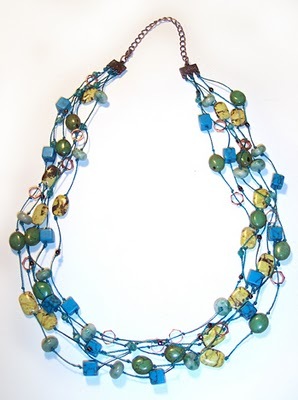 You can set off a handmade bead or component with soft materials, like in this necklace tutorial by Erin Siegel. 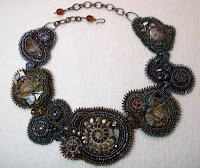 Mixed Media Jewelry month gets off to a rousing good start on Beading Arts with a tutorial that includes buttons, beads, fabric, lace, and wire! Resin Crafts has a great demo featuring polymer clay! 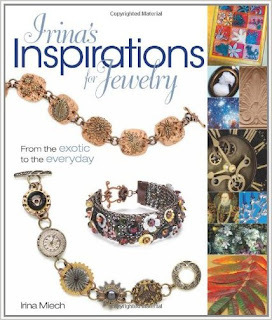 Jean makes an appearance in not one but two new Kalmbach books of BeadStyle jewelry designs! I'm a wire artist who incorporates metal sheets in my pieces. 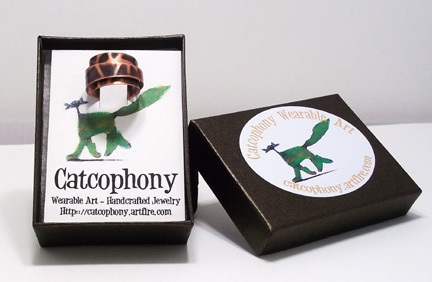 I'm a self taught jewelry artist with a degree in Visual Communication Design. 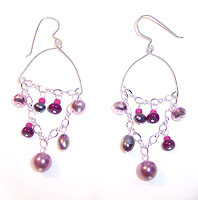 I learned how to do wire wrapping in the Summer 2008 and opened my first shop online in November under the name Popnicute (pop/knee/cute). It has been a wonderful journey and it's fun to think of that I have customers all around the world. 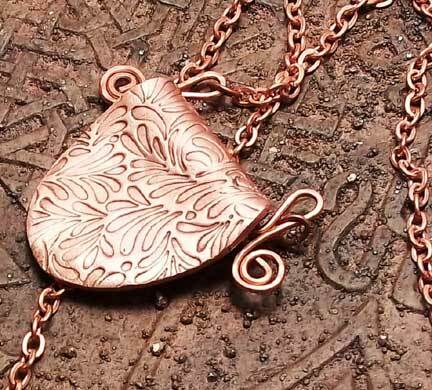 I have been exposed to many art forms since childhood through formal courses and self teaching from books but eventually found my calling in jewelry designing especially with wire. I feel like wire is the extension of my brain that I can manipulate at will to form a beautiful wearable art. I almost never followed a sketch precisely. Designing as I go is how I roll. 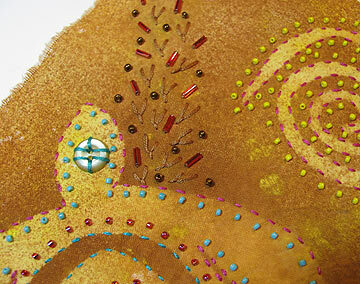 Currently, I've been busy preparing my work to be sent to The 2012 MTV Movie Awards, in association with The Artisan Group, that will be held in L'Ermitage Hotel in Beverly Hills, CA from May 31 through June 2. 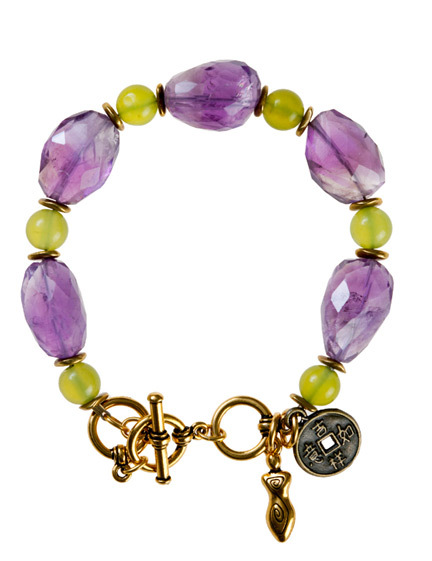 My jewelry among other participants will be distributed to celebrities that attend GBK gift lounge. 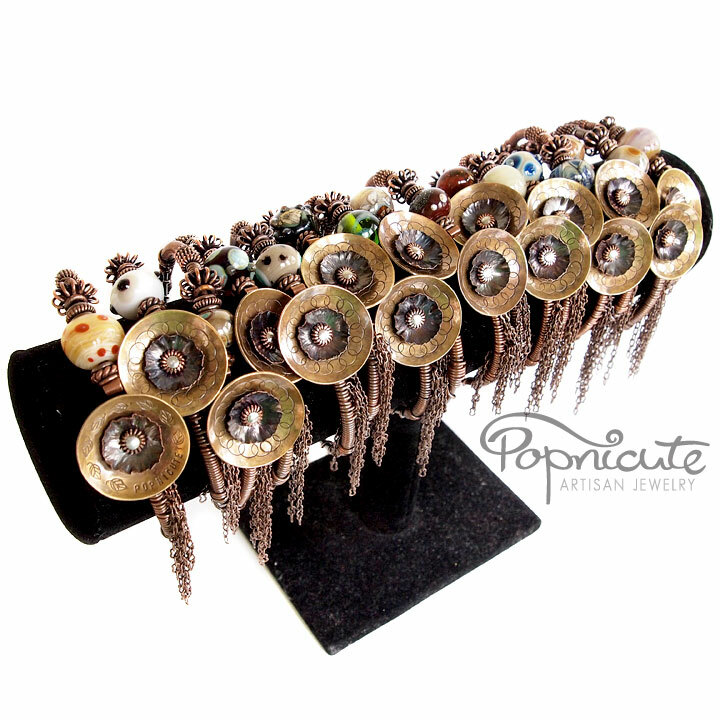 I will be sending 100 of Popnicute Artisan Jewelry in 5 different designs. 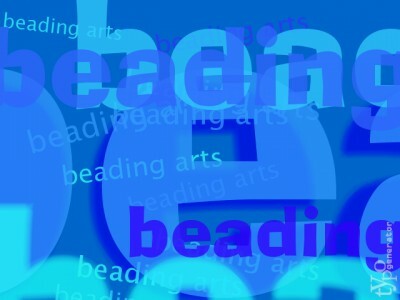 MelissaBeads and Magpie Gemstones are kindly sponsoring me with their wonderful beads to be incorporated in them. 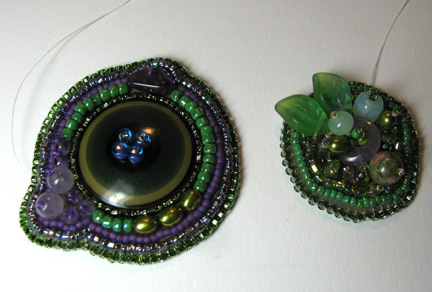 Here are two of the designs I have finished, a bangle (top) and a necklace design (middle). 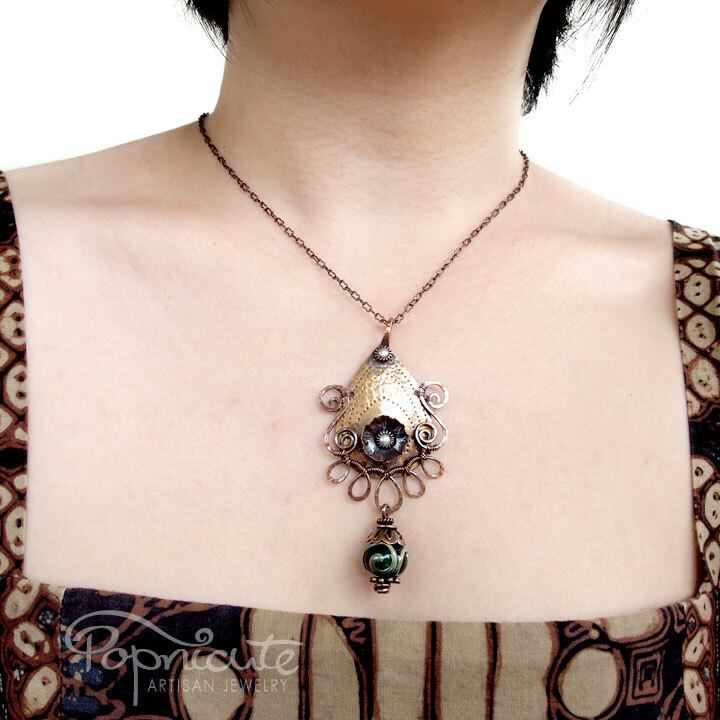 These pieces are inspired by traditional Indonesian Batik. I'm trying to incorporate my cultural heritage as I lived in Indonesia for 29 years of my life before I moved to Quincy, IL to marry the love of my life. 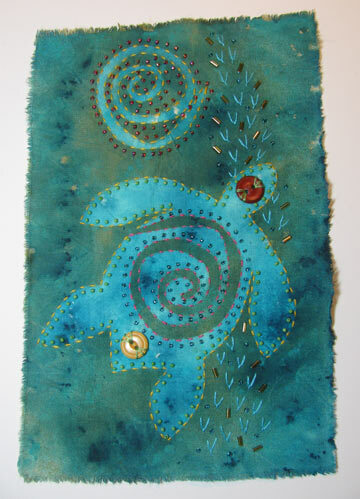 Indonesian Batik often featuring repeating patterns and organic elements from nature in their designs. That's what I tried to convey here without being too literal. To make it look ethnic modern and contemporary. 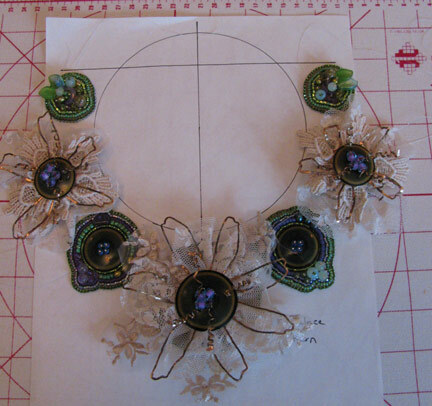 I use pmc bronze for the leaves and gold filled wire. The leaves come from my garden. 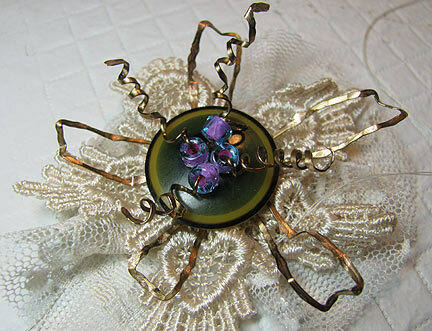 I first create all of the metal pieces and then use wire wrapping to put them together. 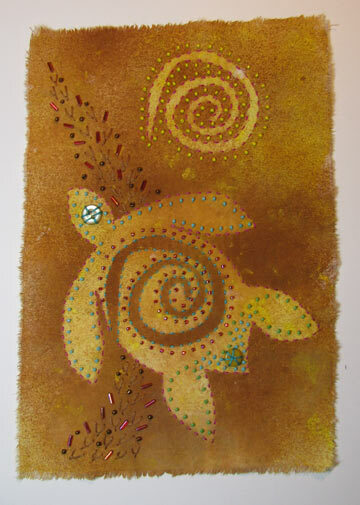 I get inspired by ancient civilizations, mythology and of course mother nature. 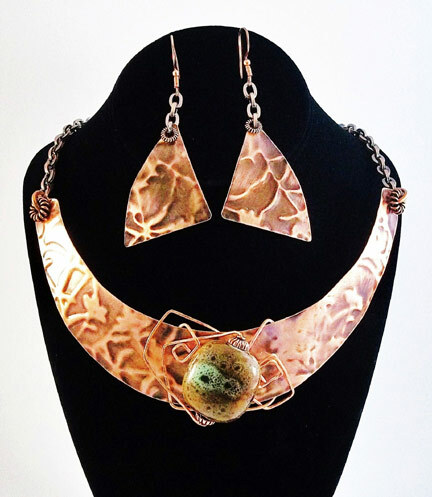 I use bronze or pure silver for the metal pieces and gold filled wire and chains. 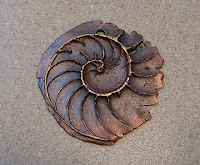 I hand carved the design in bronze pmc, placed a white cz in the middle. 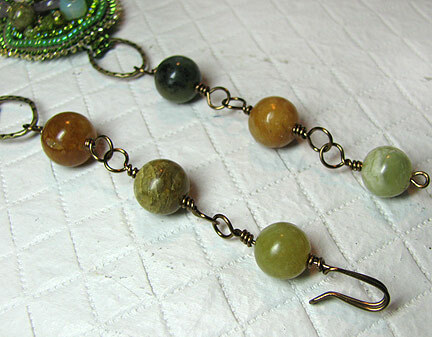 Gold filled chain and wire and a chrysoprase. 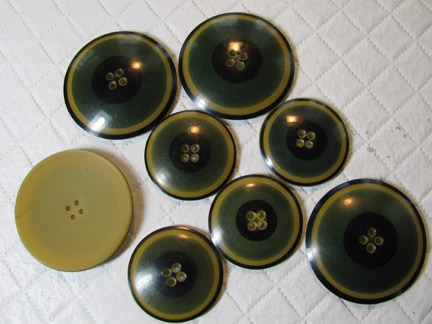 On my last trip to visit my cousin in New Jersey, I found this set of celluloid buttons that I fell in love with. 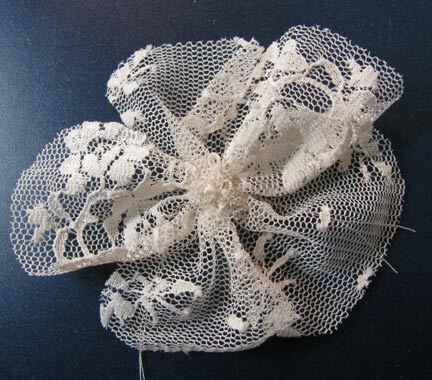 This style is known as French Ivory: you can identify them by the closely set stripes in the plastic on the backs, which you may just be able to make out in my photo. 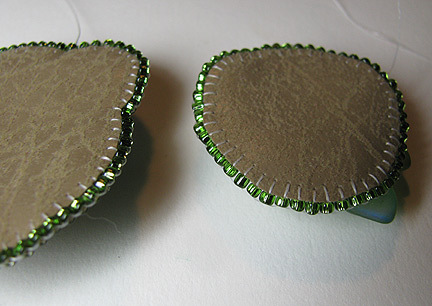 I knew that I wanted to use the buttons as cabochons, but it took awhile to come up with the exact plan. 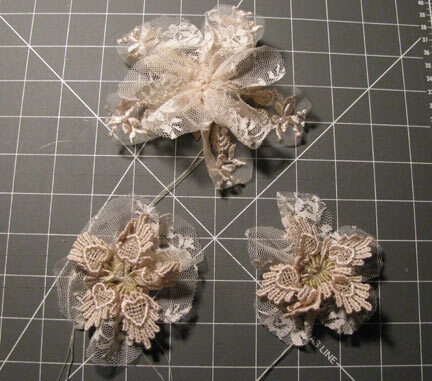 My first thought was to use some of them as the centers of lace fabric flowers, and to use others as the centerpieces for seed beads and pearls. 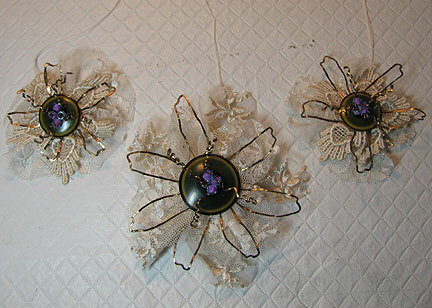 You might remember the lace flowers that I made a few years ago: they are very simple and served well for the background of the mixed media flowers I had in mind. It wasn't until I started fooling around with putting them together that I figured out something was missing: wire! 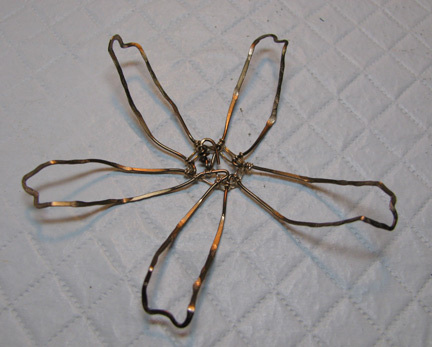 Having just finished Wire Month at Beading Arts, I still had wire on the brain, and I remembered a wonderful copper wire flower pendant that Janice Berkebile showed in her book, Making Wire & Bead Jewelry. 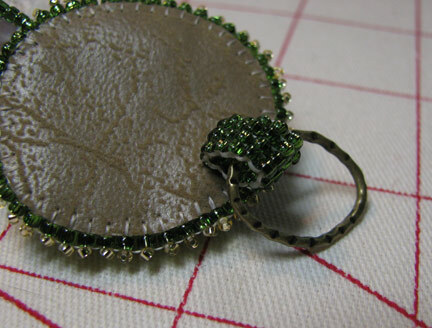 I ended up making mine in a different fashion from Janice's, but I still want to credit her with putting the idea in my head to use wire. 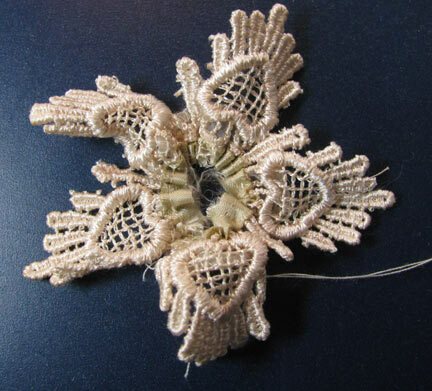 I used 20 gauge brass wire, wrapped and beat it into shape with my ball peen hammer, adding lots of texture to the "petals". 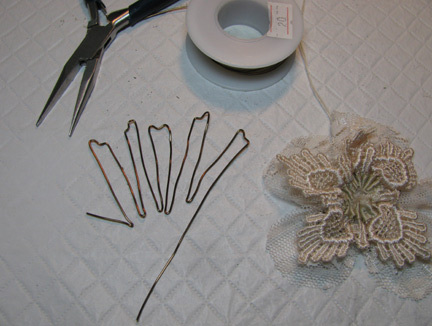 To assemble the flowers, I stitched the lace part to a small circle of ultra-suede. 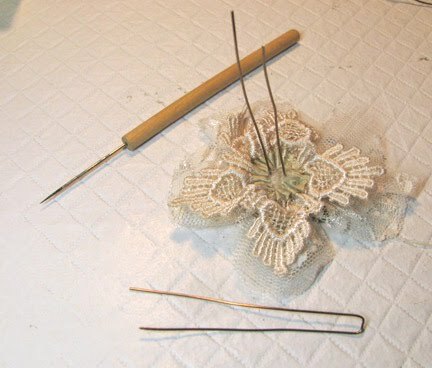 Using a needle tool, I poked 4 holes through the ultra-suede in the middle of the fabric flower, and added two bent wire pieces like you see here up from the back. 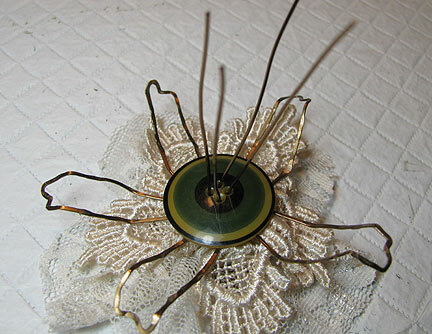 Each wire went up through the wire flower and a hole in the button centerpiece. 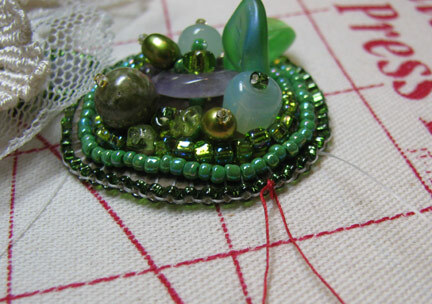 I added a bead, and then flattened and textured each of the 4 center wires. Each was finished off by curling it with round nosed pliers. Next week, I'll show you how everything came together!